Retailers Wal-Mart & Target; cards allow the youth to purchase underwear, socks, personal items and other necessities. Grocery Cards Smart & Final, Stater Bros, Ralph’s, Costco or 99 cent Store grocery cards in any denomination to purchase bulk food, to purchase other gift cards as needed and to give directly to students. Large boxes of granola/breakfast bars, tuna/chicken salad kits, fruit cups, beef jerky, pretzel and nut bags, individual peanut butter/crackers, ramen noodle cups/bowls. 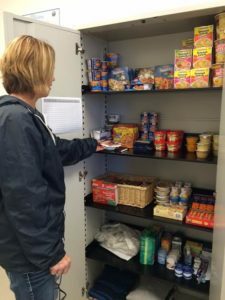 View Grocery List OR visit our Amazon Student Pantry List for convenient donating! Mechanical pencils, blue/black/red pens, college ruled composition notebooks, college ruled single & 3 subject notebooks, adult size backpacks, Chromebooks w/protective sleeve Visit our Amazon Student School Supply List for convenient donating! These can be purchased at Ralph’s, Vons, & Stater Bros (at Warner/Goldenwest). The Orange County Transporation Authority (OCTA) bus system is the only way most of our students can get around to jobs, housing and services. Most students need several months of bus passes. – Our youth do not have reliable means of transportation especially if bus routes aren’t available. When possible, we provide them with a bike to get to and from school, work, etc. The IRS has put together the following eight tips to help ensure your contributions pay off on your tax return.